Mafia – watch out a new mafia boss is in town – will you be able to gain favour or will you fall foul! Arboriculture – time to expand and diversify in to new markets – apples, tomato sauce and olive oil. Be careful though workers don’t like too much change! Formaggio – a chance to expand into an emerging marketing – cheese, where you’ll need to get to grips with dairy cows and the pasteurise operation. 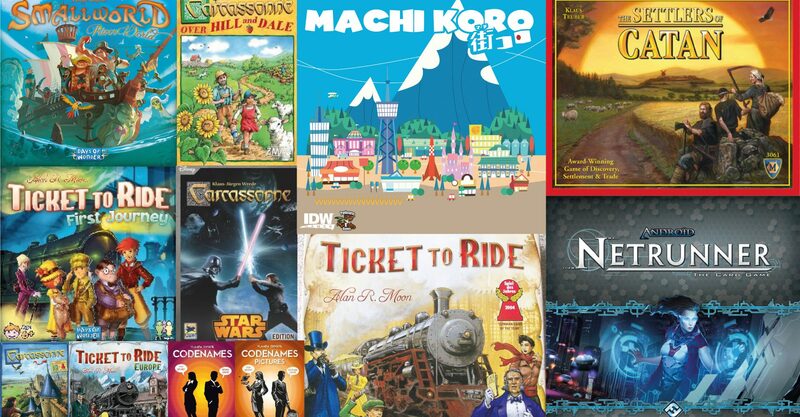 As you can see quite an expansive range of expansions, where these can be unlocked (“uncorked” as the game designers refer to this as) game after game as determined by the previous game’s winner. This way ensuring the game play can be different when playing with friends. The expansions are split into 3 tiers, where players work through each tier before the next one. This allows players to learn them as you go along rather than being overwhelmed with so many different expansion options all at once. The end of the game is triggered by when a player reaches at least 20 victory points by the end of the winter season, where the last year is played out. There is no longer a maximum point limit as there was in Viticulture. Just as the original game, which is required to play this expansion, it’s for 2-6 players (ages 14 upwards) and takes 20 min per player to play. 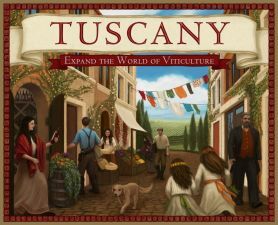 The prima version of this expansion includes customised metal lira coins made specifically for the Tuscany expansion pack. Not yet played the original game or missed out on the first print run of Viticulture? Don’t worry a second print run is being done, due early Autumn – pre-order yours here to not miss out! Plus we have a special offer on the collector’s edition if wanting both items.